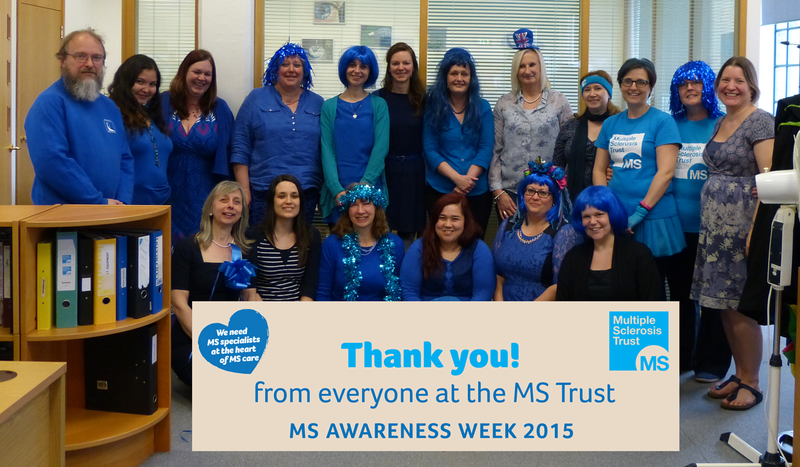 We’re now coming to the end of MS Awareness Week and we’d like to say a huge THANK YOU to everyone who’s been involved! We’ve been blown away by the response to our Heart of MS Care campaign. As of this morning almost 1,300 of you have signed up, helping us raise the profile of MS specialist care, and the urgent need for more MS specialists across the UK. You have helped us reach thousands more people affected by MS, and you’ve added your voice to an even stronger call for everyone affected by MS to be able to access the best possible care. In the course of our campaign, we’ve received some amazing testimonies to the difference good MS specialists can make for people living with MS, and we’ve heard troubling stories from people who still can’t access specialist nurses where they live, or find that their nurses are severely overstretched. That’s why our campaign doesn’t stop with MS Awareness Week. As Geraldine Mynors explained on Wednesday, our real work is only just beginning. Right now we’re beginning the analysis of the data we’ve collected from GEMSS, the major research project which has seen us work with MS specialist teams around the UK. Over the next two months we’ll will be working with MS teams on local reports for each of their services which provide evidence about what they do and the value they add, as well as making local recommendations about how services can be improved and strengthened. Over the summer and autumn we’ll be using the GEMSS data to create national publications about MS services. We hope these will establish quality standards for all MS specialist services, help specialist deliver even better services and help shape the future of MS care in the NHS. Your support means that we can make an even bigger impact with this work. The best way to keep up to date with the progress of our work is by subscribing to our free, quarterly newsletter, Open Door. Not only does it share updates about our work, it also rounds up all the latest news from the world of MS, explains what new research might mean for you, looks behind the headlines at MS in the media, and looks at ways you can get involved in our work. Our new issue is being posted very soon. 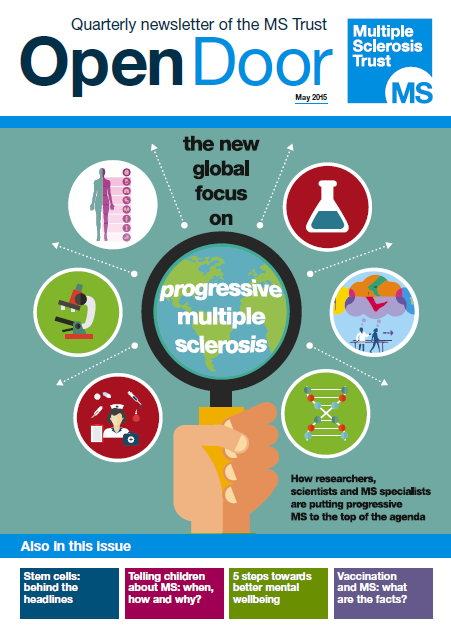 It includes a feature on the new international focus on progressive MS, looks for the truth behind the stem cell hype, introduces ways of staying mentally fit, and examines at the facts about vaccination and MS. To make sure you receive your copy sign up now!